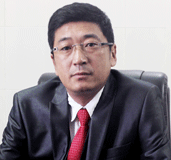 Dr Victo A Wotsa is an Obstetrician and Gynaecologist with firsthand experience as an administrator by virtue of being the Founder and Managing Director of Nikos Hospital and Research centre at Dimapur. He has attended various national and international conferences and presented scientific papers at local, zonal and national conferences. His clinical accomplishments include performance of over 1500 total Laparoscopic hysterectomy and over 2000 cases of different diagnostic and laparoscopic procedures. Prior to commissioning Nikos Hospital and Research centre he was a consultant at the Government hospital and Faith hospital at Dimapur, Nagaland. Dr Victo has conducted laproscopic workshops for Berpeta Medical college from September to October 2014 and as delegates for Assam and Meghalaya. Dr Victo is conscious of the importance of quality assurance in the hospitals and other healthcare settings. His dream is to bring about quality care at Nikos Hospital and so after actively working ultimately it has been accreditation by NABH. Now, Nikos Hospital, Dimapur has become the first in Nagaland and third in Northeast to be accredited by National Accreditation Board for Hospital (NABH). He has set up FOGSI recognized Laparoscopic Training Centre where Doctors from different states are attending the training.